Course Description: This course explores the history of various societies and civilizations around the world, from earliest times to around 1500 CE. Students will investigate a range of factors that contributed to the rise, success, and decline of various ancient and pre-modern societies throughout the world and will examine life in and the cultural and political legacy of these societies. 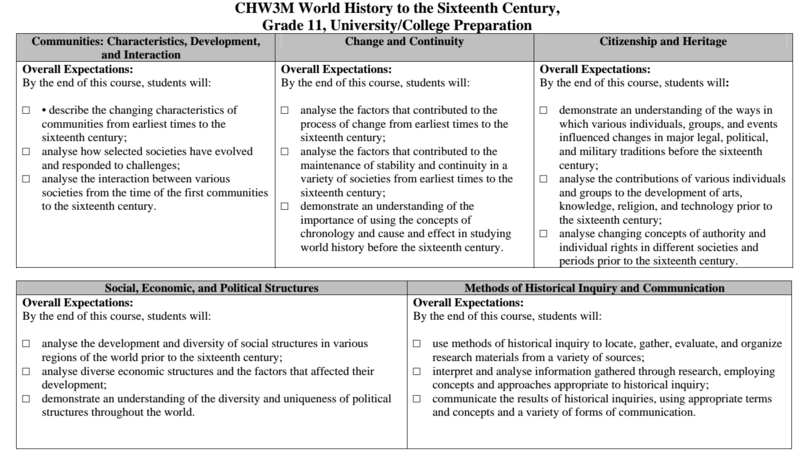 Students will extend their ability to apply the concepts of historical thinking and the historical inquiry process, including the interpretation and analysis of evidence, when investigating social, political, and economic structures and historical forces at work in various societies and in different historical eras.